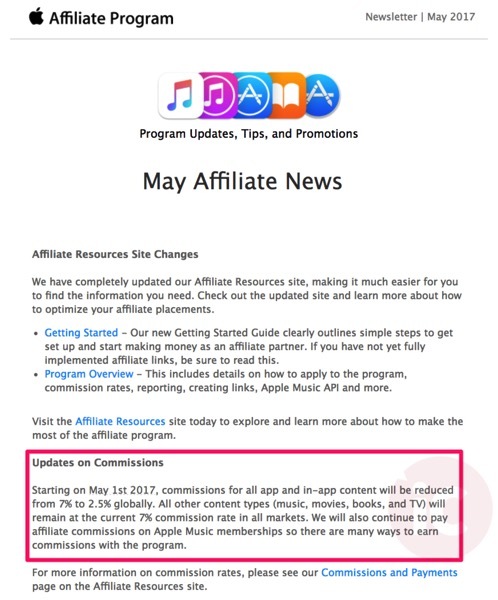 Apple’s affiliate program has announced commission rates for apps and in-app purchases have been reduced from 7% down to 2.5% globally, a change set to start May 1, 2017. While there is no explanation for this cut of 64%, it will affect websites which rely on this App Store affiliate model to generate revenue. 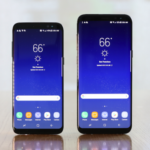 The move could be a way to prevent fraud or signal some other changes could be coming to the App Store soon. Apple says music, movies, books and TV, along with Apple Music memberships will continue to be at a 7% commission rate.